Smoking is very dangerous for hair. You should be very cautious to keep yourself away from the smokers. (Avoid active as well as passive smoking). Smokers may notice that the top layers of their hair are quite brittle. This causes them to break off before they are fully grown and is most likely because they are malnourished. “The 7,000 chemicals in cigarettes affect every cell in the body, including hair follicles,” Smoking has been associated with hair loss. Cigarette smoke enters the bloodstream through the lungs and is carried by the circulatory system to every part of the body. The result is that the cells of the smoker’s body are bathed in the more than 4,000 chemicals and gasses found in cigarette smoke. No part of the body is truly exempt from the toxins in cigarettes, and even hair follicles suffer damage. 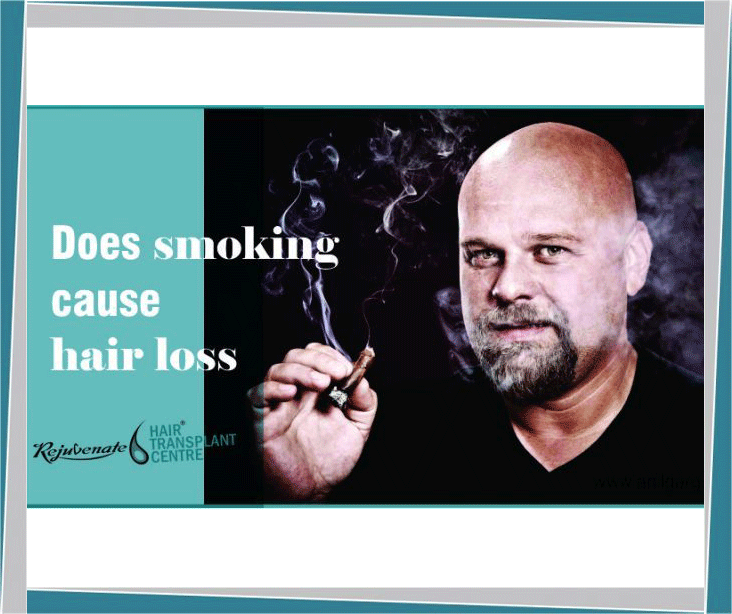 Cigarette smoke damages the hair follicles, causing them to shrink and wither. Unhealthy follicles simply cannot produce healthy hair, making smokers much more likely to have damaged and thinning hair or go bald. Even if the follicles do continue to produce hair, it is brittle and extremely susceptible to breakage. 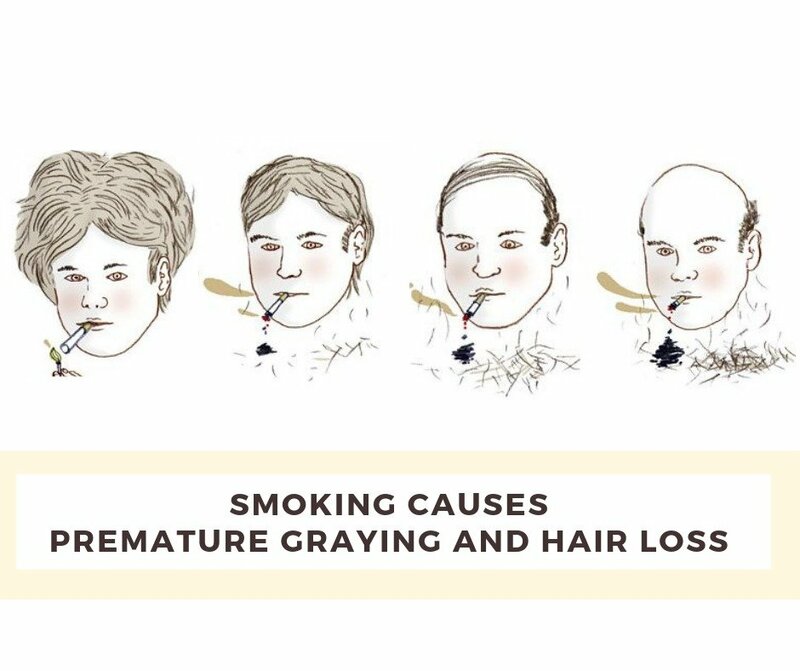 Smoke also restricts the blood flow to the follicles, prematurely aging them and causing grey hairs to appear earlier in life than they otherwise would. Cigarettes also increase the amount of the hormone DHT in the body – a hormone known to contribute to hair loss. The order of cigarette smoke is also easily held by the hair and skin, causing even clean hair to smell like stale smoke.